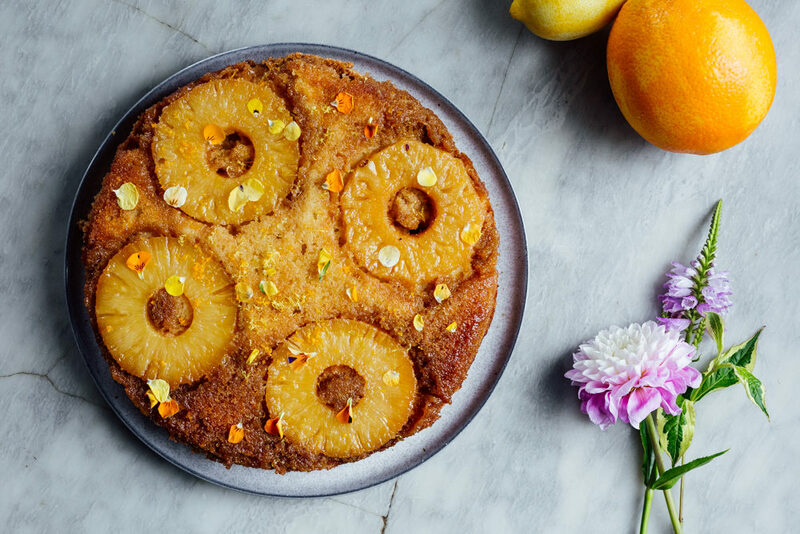 With this week seeing the return of the Great British Bake Off, it seemed fitting that we shared this slightly retro yet delicious Pineapple Upside Down Cake recipe. An absolute classic, this is a true family favourite and can be served alongside an afternoon cuppa or post a comforting Sunday roast dinner. 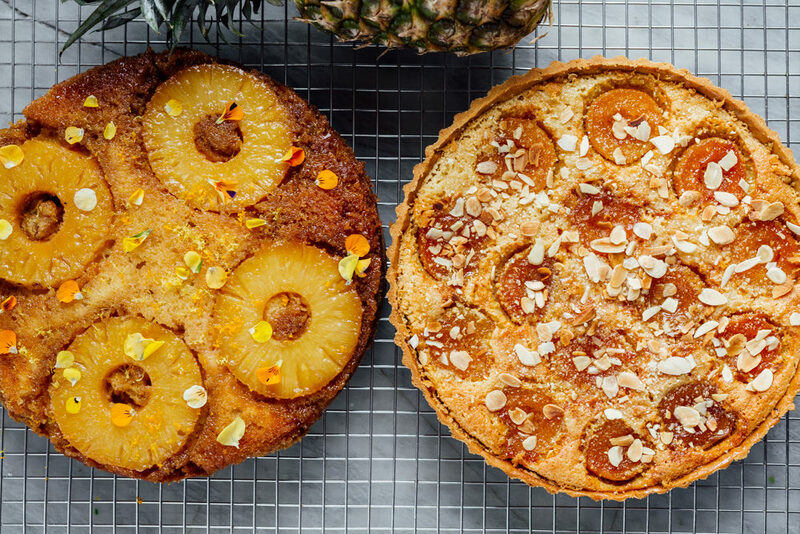 For our recipe, we’ve chosen to use fresh pineapple but feel free to go old school and pick up a tin or two if you don’t quite have the energy to start from scratch. Heat oven to 180C/160C fan/gas 4. Line a cake tin with baking parchment. For the topping, beat the butter and sugar together until creamy. Spread over the base and a quarter of the way up the sides of a 20-21cm round cake tin. Place the cake ingredients in a bowl along with 2 tbsp of the pineapple syrup and, using an electric whisk, beat to a soft consistency. Spoon into the tin on top of the pineapple and smooth it out so it’s level. Bake for 35 mins. Leave to stand for 5 mins, then turn out onto a plate.